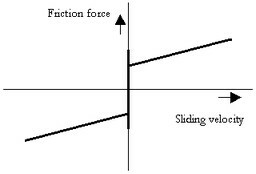 These models represents friction with the fixed world. 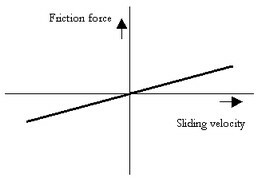 The amount of friction does not depend on the normal force but determined by parameters directly. The models have only one initial port p defined. Because any number of connections can be made, successive ports are named p1, p2, p3 etc. 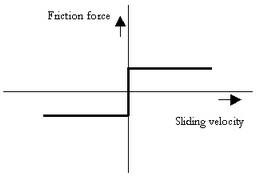 20-sim will automatically create equations such that the resulting force p.F is equal to the sum of the forces of all connected ports p1 .. pn. The velocities of all connected ports are equal to p.v. 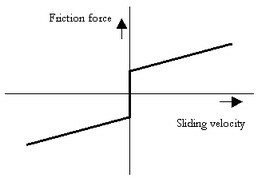 slope: the steepness of the coulomb and static friction curve. v_st: the characteristic Stribeck velocity.